Mary Kay kindly sent me a photo of her daughter’s coral (pictured above), and I was immediately able to see what she was referring to. It is indeed very similar to a feature that is regularly seen on buildings in Paris (and in many other places around the world). However, the name of this feature has nothing to do with marine organisms, but is in fact connected to a creature that is much closer to most of us – the worm. 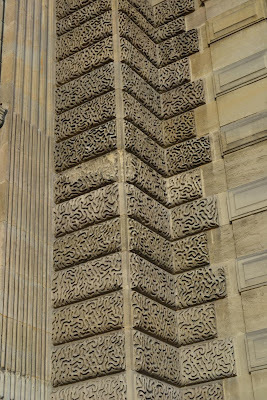 Generally found on stones at the base of a building, this gouging or chiselling of a smooth surface is known as vermiculation (from the Latin vermis, meaning worm), and is just one form of an architectural technique known as rustication. It first began to appear on buildings in the rennaissance period, with the Louvre palace being a particularly good example. 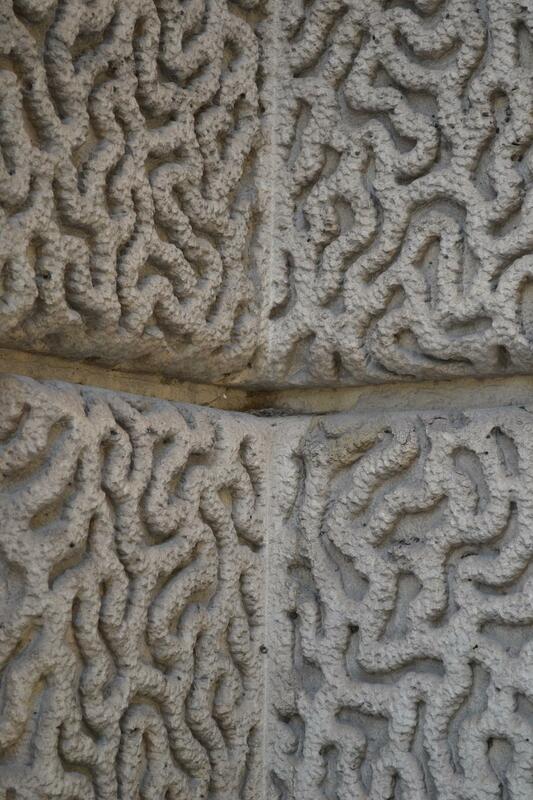 Vermiculation on the walls of the Louvre. 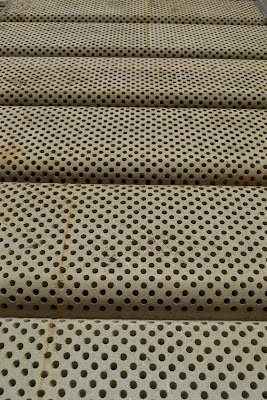 Following classical architectural theory, the idea behind using forms of rustication is that they provide a rough, ‘natural’ surface at ground level which give the building a feeling of solidity, and offer a feature that then contrasts well with ornamental stonework and columns on floors above, particularly the ‘piano nobile’. 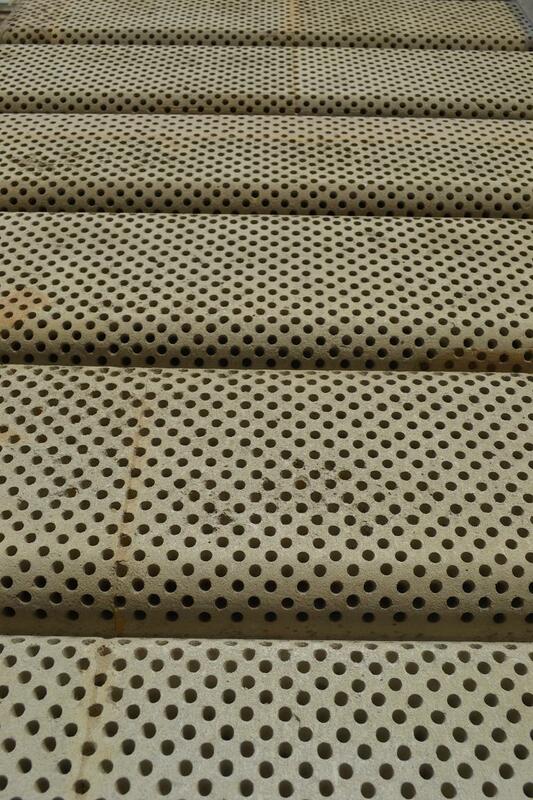 Although there are several forms of rustication, it is vermiculation which has always been most popular, and the feature continued to be used on buildings in Paris into the 20th century (although in more recent times for purely decorative effect). The link to worms is due to its forms, which are supposed to resemble the shapes left by those creatures in wood or soil, an effect which perhaps also gave a building a more 'living' feel. 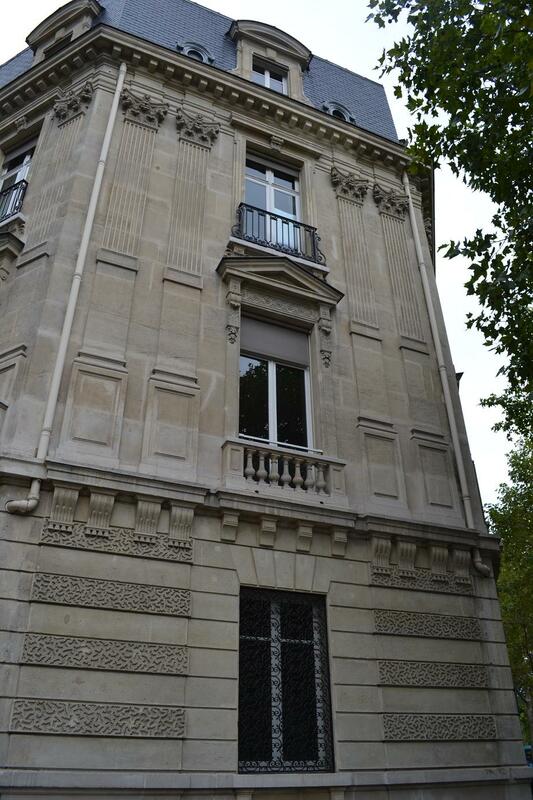 A typical Haussmannian building - vermiculation at ground level, corinthian columns above. The effect seemingly died out with the arrival of the smoothness and simplicity of the art deco movement, and with mass production replacing the craft of the stonemason, it seems unlikely to make a comeback. However, I have found it available today as a motif for a range of materials which you can use inside your house, and one which here has been given a rather interesting name - 'le grand corail'! 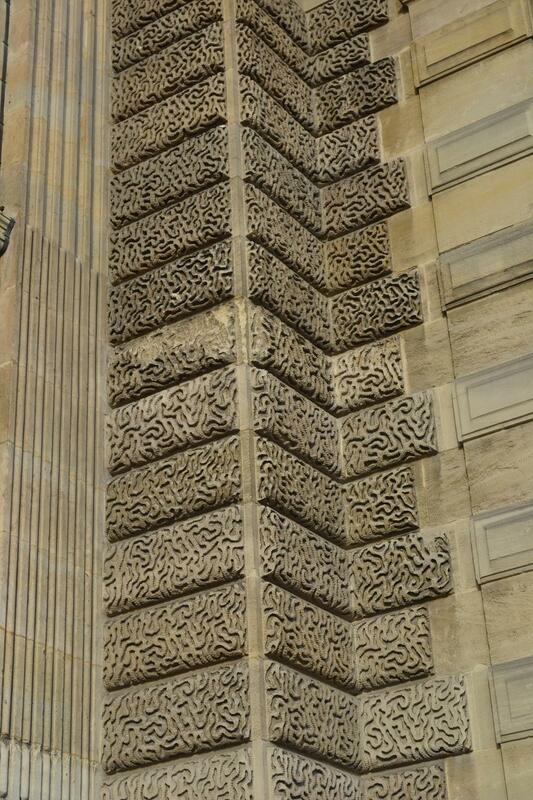 Whilst taking a closer look at the vermicular features on the facade of the Louvre, I noticed something a little strange. The feature should stretch up in a column to the top, but on the lower levels the stones have been replaced by more modern models. I'm not sure when this would have been done, but was it perhaps to make it more difficult for potential thieves to get a good foothold? Another possible reason then for the disappearance of this feature on the buildings of Paris! Many thanks for answering my question in such great detail, especially since it meant using your lunchbreak to take photos! Seeing the picture of the coral with your photos of vermiculation reassures me that I wasn't imaging their similarity. And what a coincidence that there is a range of wallpaper called "Le Grand Corail-Vermiculé". 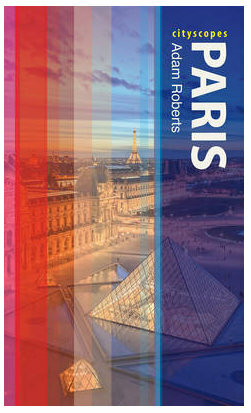 Maybe my daughter will be able to get some funding to come study the coral on the streets of Paris! 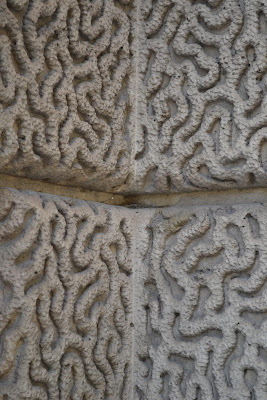 Very cool to see the coral-like "vermiculation" in your pictures- I'll have to watch out for it next time I'm in Paris! Its interesting that you mentioned the worms because as a geologist, it does look a lot like bioturbation which is mostly done by burrowing organisms like worms! If the grooves were based on coral though they would be a slightly different species (Diploria strigosa) than the one pictured in my mom's picture (which is Diploria labyrinthiformis) as there isn't a groove in the center of the "vermiculation"'. 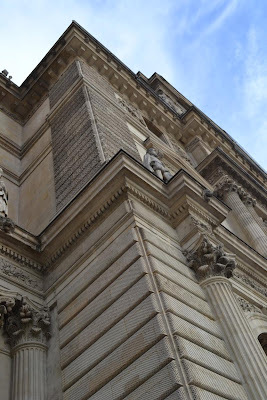 I have noticed this vermiculation (did not know the word for it) on buildings in Paris and you have answered the question well. I can always count on your research and level of detail! While vacuuming my "old" wooden floors, I just noticed some vermiculation - quite a bit of it. Don't worry, I won't send photos! But it gave me something interesting to think about while doing a rather mundane task. I have often wondered about this yet never pursued it to find the answer..
yet another excellent post. Thank you!